Lako can convert your existing lines, or install modular heads to new lines to make it possible for fast, simple changeovers when in production. Many of our customers have asked our help to prepare for the reality of just-in-time production, and how to juggle short and long runs without downtime. 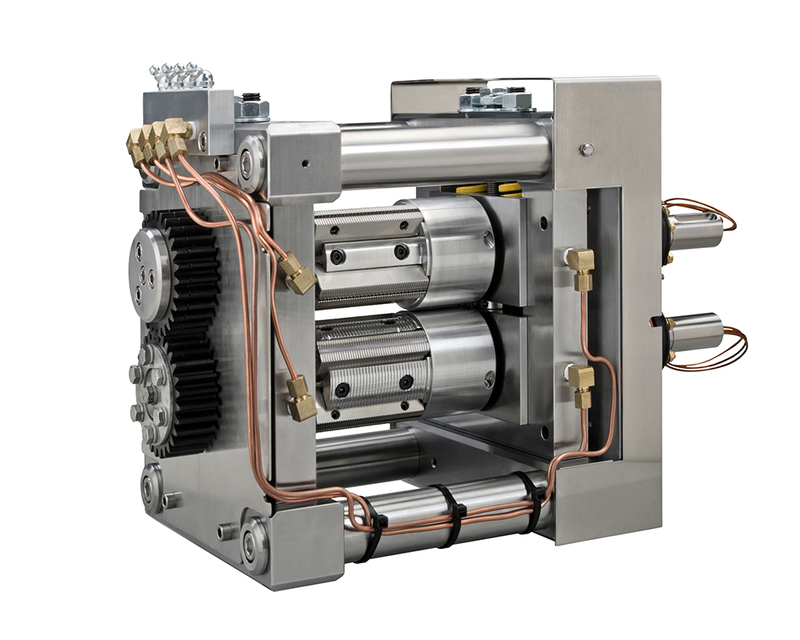 Lako can convert most seal-jaw head assemblies to meet any of your flexibility needs, or install new modular heads to enable simple swapping out during production or repairs. Currently, this is available for most horizontal wrappers. Lako's pre-set head will eliminate scrap product when the changeover is complete - so the first product out is usable. Conversions or new heads can support Standard to Hole Punching, and long packages to short. The seal quality of Lako's new head assembly has the highest integrity. Our lead management, engineering, and sales teams, with an average of 20 years' experience, provide complete engineering and design services for tough-to-solve sealing problems, regardless of where they originate. This is true for all our products, and we are proud to share this with our customers.